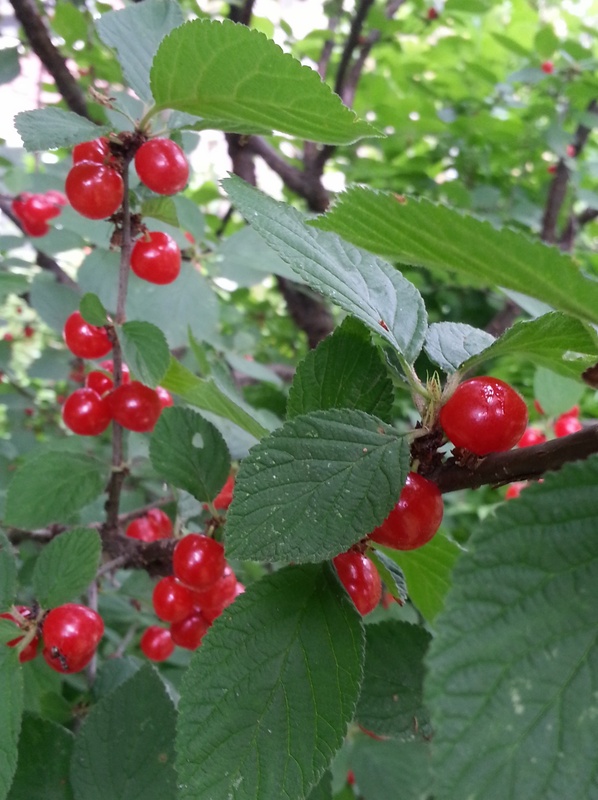 I went to pick cherries at my old co-housing today with Dekalb. 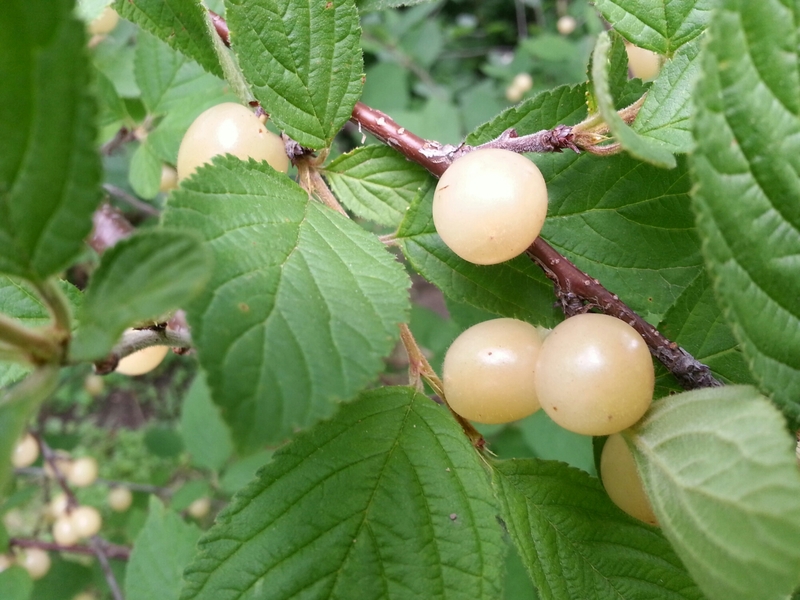 These are tiny cherries, about the size of dimes, and their pits take up about have their volume. But they are nice and sweet, which makes them great for juice and jellies. I don’t know the name of the variety. One tree has yellow ones that are sweeter, the other has red ones that are a little more tart. When I first moved there, the trees were in too much shade and weren’t fruiting much, so I moved them into a sunnier spot and they became much more productive. Over the past ten years they’ve doubled in size. They could probably use some pruning, maybe I’ll do that this winter as a thanks to the folks who live there and let me still pick from these trees. Want a garden border? Look around the neighborhood.